Amy Bristol moved from Oregon to Alaska in 2004. She begin working at PIC in 2008 as a Developmental Specialist. She has two young children and enjoys playing outdoors with her family. Amy Simpson began working at PIC in 1995 as a speech therapist and became the Executive Director in 2004. She was raised in Colorado and lived in Utah for many years before moving to Alaska. Amy enjoys all things Alaskan including hiking with her family (dogs included), fly fishing, and skiing. Amy Caudillo earned her doctoral degree in Physical Therapy from Mount St. Mary’s College in Los Angeles. 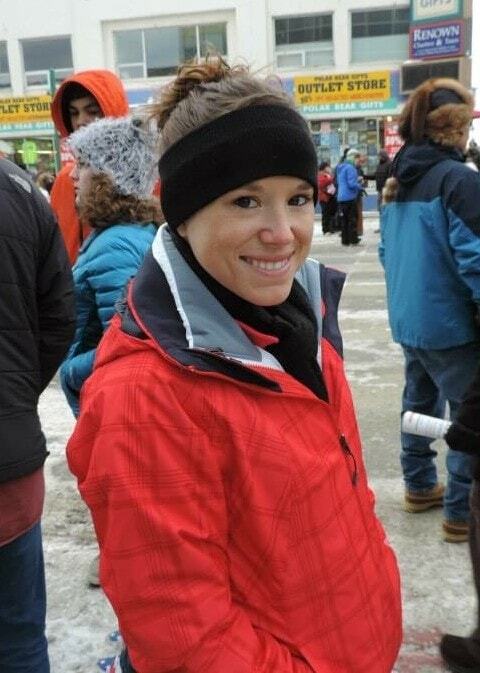 She has lived and practiced physical therapy in California and Arizona before moving to Alaska in 2013. When not working with families receiving services with PIC, Amy enjoys travelling, hiking, camping and spending time with her family. Anna Sluz earned her doctoral degree with honors from Creighton University. She joined PIC as an occupational therapist in January 2013. 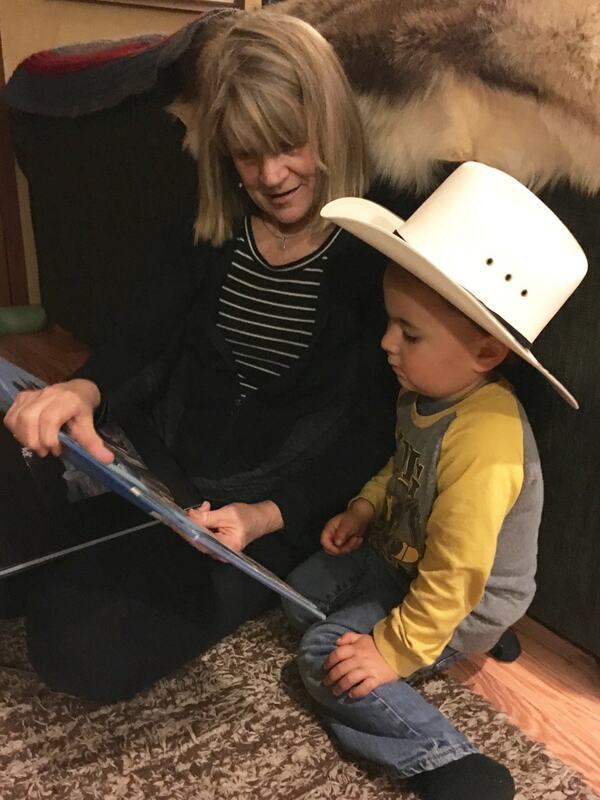 Anna feels blessed to be among the supportive colleagues and hearty Alaskan families and their amazing children in providing early intervention services. She is trained in the Perception-Action approach to movement disorders, certified in the S.O.S. Feeding approach, and a former LEND fellow. Anna makes her home in Eagle River and enjoys cooking, reading, singing, and the great outdoors. Aubrey Sabin is a Developmental Specialist. She has been providing early intervention services for eight years with a focus on strengthening families. Aubrey has three children. She is a big fan of Alaska and has lived here off and on since she was a toddler. She loves going to parks, community activities, and dreams of returning to exercising consistently again! Christy McMurren is a Licensed Clinical Social Worker and has been with PIC since 2006. She is originally from Mississippi, but came for a visit to Alaska 30 years ago and never left! Christy is particularly interested in the well being of infants and toddlers in the child welfare system. She recently received a Graduate Certificate in Infant Mental Health and enjoys watching babies and parents fall in love with each other. Christy spent many years working in the Neonatal Intensive Care Unit at Providence Medical Center. She says, “Parents who had babies in the NICU were my best teachers about the roller coaster of emotions during an NICU stay”. 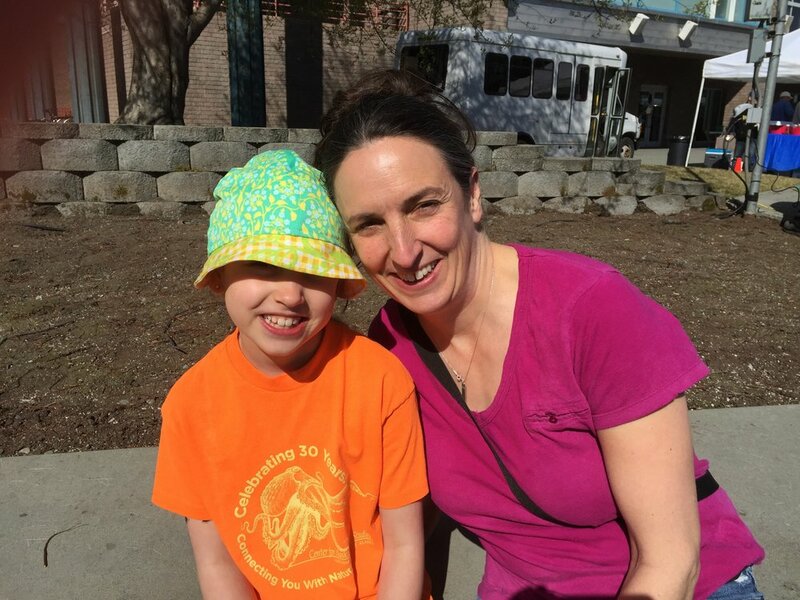 Christy is a founding board member of the AK Association for Infant and Early Childhood Mental Health. Christy enjoys traveling with her family to foreign destinations. She has two grown sons. Colette Ravinet is a physical therapist. She received her degree from the University of Wisconsin. Colette grew up in South America and Alaska. She enjoys traveling, dancing, hiking, and biking. Deborah Chambers started at PIC in 2015 as a Developmental Specialist. Deborah’s fulfillment from working at PIC comes from working with children within their everyday routines, one day this is meal time another day it’s going to the park to play. Working with children this age means team work and it engages all members involved with the child. Working within the child’s routine and using a team model all occurs within the families’ cultural context, every family is different; this brings her joy to see the diversity of every child and family. Working specifically with children 0-3 with disabilities is exhilarating for her because she is invited to dream, hope, and see the child’s capacities with caregivers. She feels the role she plays with children and families is multifaceted; the most important role for her is being a families cheerleader and coach. Aside from work… she too engages play activities. She is involved in church functions, outdoor activities, cooking, traveling, pretending to be an interior decorator, and trying new things whether it be a restaurant or meeting new groups of people. Dana Cross received her Master’s degree of Social Work from the University of Southern California. Dana’s past work experiences include working with adults in substance abuse treatment facility, with children and preteens in mental health, and working with new mothers in a hospital setting in the NICU and Maternity Center. Originally from Indiana, Dana was brought to Alaska with her husband via the military. When not working, she enjoys time with her family and getting outdoors to see Alaska! Donna Kelley is an occupational therapist with a Master’s degree in early childhood special education. Originally from Maine, she has provided early intervention services for families in New Hampshire, Texas, and Germany. After spending several years homeschooling her two sons and moving frequently due to her husband’s career, she and her family have settled permanently in Alaska. When not working, Donna enjoys spending time with her family, hiking, quilting, knitting, reading, and helping with social activities at her church. Hilary Berg is a speech therapist who received her graduate degree from Washington State University. Hilary moved from Bellingham, Washington in July 2013 to Alaska to join PIC and pursue a career in early intervention. When not enjoying the children receiving services from PIC, she spends her time hiking, biking, camping, skiing and other outdoor activities. She also enjoys taking pictures, reading, playing music and visiting with friends and family. Jane Bulaong is an administrative Program Associate, she joined PIC in 2013. Born in the Philippines, she enjoys the outdoor activities and learning new things to cook. She spends most of her time off from work with her son and a close few. Janell Brulotte began working at PIC in 2014 after completing her undergraduate degree in Human Services from the University of Anchorage Alaska. Janell has experience with the local child welfare agency and youth detention center, but enjoys Early Intervention because she enjoys the innocence young children bring to the world. Born in a small farming community, Janell moved to Alaska in 1998 and enjoys the active lifestyle Alaska has to offer. When not working with families receiving services from PIC, Janell enjoys photography, running, reading, spending time with family and traveling (when life allows). Jessica Gardner has been a Developmental Specialist at PIC since 2009. She was born and raised in Anchorage, Alaska. 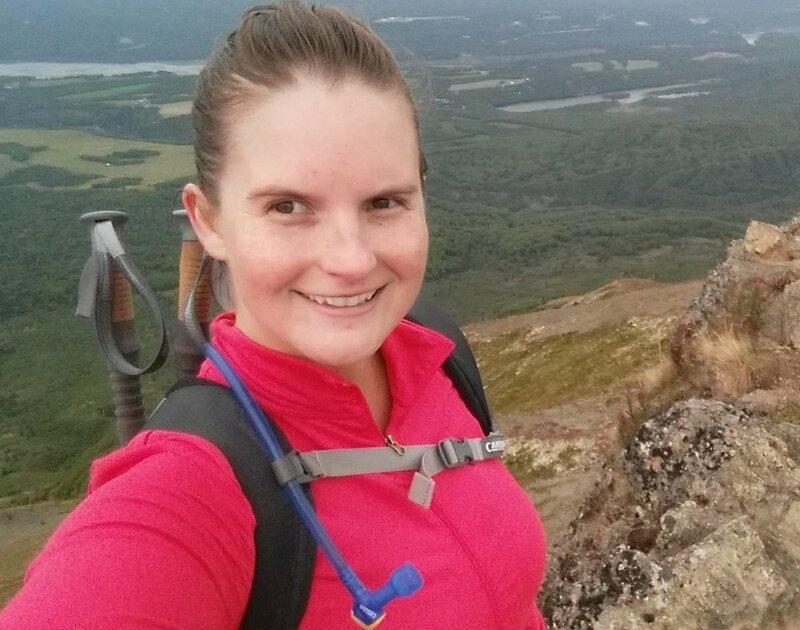 She enjoys spending time with her family doing all the wonderful things life in Alaska has to offer-camping, hiking, fishing, and snow machining. Julie Foraker has been an Early Interventionist at PIC since 2005. She was born and raised in Anchorage, Alaska and holds an Associate Degree in Early Childhood from the University of Alaska Anchorage and an Associate degree in Speech and Language Pathology Assistant through Prince William Sound Community College. Her hobbies include making jewelry, scarves and exploring the great outdoors with friends and family. Julie enjoys her job and makes sure families are getting the services they need through PIC. Julia Ramirez holds an Associate of Applied Science in Human Services from the University of Alaska, Anchorage. She began working at PIC in 2006 and is part of the administrative and management team. Julia enjoys spending time with her family and spends her spare time reading and catching up on the latest movies. Kimala Rein, TVI & COMS: Teacher of Students who are Blind and Visually Impaired and Certified Orientation and Mobility Specialist, Masters degree from University of Northern Colorado, Special Education Dept. I have been working with students who are blind or who have a visual impairment in the school systems, recreational settings, in preschools, in early intervention, and in the community for 10 years. The course work includes things like: Braille, Technology for VI, Medical Implications of Vision Impairment, Specific Skills related to Activities of Daily Living (how to cook without looking) and the special education laws as related to vision impairment in IEP’s and IFSP’s. Lauren Clements is a speech-language therapist who completed both her undergraduate and graduate degrees at the University of Minnesota Duluth. She enjoys working in early intervention because it provides opportunities to see meaningful growth in many areas of children’s development. In her free time she loves exploring Alaska with her husband and their dog by going hiking, mountain biking, skiing, and camping. Lindsey Hartman moved to Anchorage in 2015 after spending three years in Kotzebue, AK. She joined the PIC team as a Developmental Specialist who has been awarded Teacher of the Deaf and Hard of Hearing. She attained her Master’s degree from University of Northern Colorado Greeley for Special Education: Deaf and Hard of Hearing, and acquired her Bachelor’s degree from University of Minnesota Duluth in Unified Early Childhood Studies with a minor in Psychology, a minor in Deaf Studies, and a graduate certificate in Educational Computing and Technology. She grew up in the Twin Cities of Minnesota with her parents and one brother, where they enjoyed camping, fishing, and sports (Hockey!). Lindsey has been a resident in Alaska for 3 years now. In her free time, she enjoys the outdoors by fishing, hiking, and taking road trips, but when it’s time to stay indoors she bakes, cooks, scrapbooks, and sews. Lindsey enjoys engaging with infants, toddlers, and families since early years are crucial for functional development and overall quality of life. Lianna Bodine is a speech language pathologist. She graduated with her Master’s Degree in Speech and Hearing Sciences from Indiana University in 1995. She is a proud Air Force spouse (23 years) and her family is on their second tour to Alaska. She worked for Programs for Infants and Children from 1999-2002 and she returned in 2015 to continue her career as an early interventionist. Lianna has special interests in feeding and in motor planning difficulties. She pulls experience from many years as an early intervention speech therapist, in a variety of states, and her own four children. When she isn’t busy being a taxi driver, she enjoys fishing, reading, machine embroidery, and watching movies. Lois Vanderbilt is a speech language therapist and has worked at PIC since 2002. She received her speech language degree from Washington State University with an emphasis on childhood apraxia. She was born and raised in Japan and moved to Alaska 12 years ago. In her free time, Lois enjoys hiking and kayaking, playing with her cats, gardening, and being a part of her young grandchildrens’ lives. Mariah Lamirand is a developmental therapist. Mariah has spent her life in Alaska and lives in Anchorage with her husband and soon, a puppy. She graduated with a bachelor’s degree in Early Childhood Education and a minor in Special Education from UAA in 2015 then worked as a special education preschool teacher before coming to PIC. She loves developing relationships with families and seeing joy shared between caregivers and children, especially through music and play. She believes in the importance of reading to children and early literacy skill development. Her personal interests include crafts, singing in choir, reading and anything outdoors. Martina Rudzinski has been an early interventionist with PIC since 2016. She loves working with kids and families and is active in the special needs community in Alaska. When not working, Martina loves to build forts, explore Alaska and have movie nights with her 2 kids. Mary Mitchell is a speech language pathologist who moved to Alaska and began working at PIC in July of 2016. She was born and raised in Gaithersburg, MD. She received her Bachelor’s degree in Communication Sciences and Disorders from James Madison University in Harrisonburg, VA and her Masters of Communication Sciences and Disorders with a concentration in Speech-Language Pathology from Radford University in Radford, VA. Working with young children has always been Mary’s passion. Mary taught a Kindergarten Prep program at a KinderCare Learning Center in Maryland for two years and worked part time for two year during holiday and summer breaks as a substitute teacher in infant, toddler, preschool, prekindergarten, and school age classrooms. In her free time Mary loves traveling, hiking, camping, biking, skiing, doing yoga, and anything outdoors. Melissa Kahler-Afelin graduated from the University of Alaska Anchorage with her Master’s Degree in Early Childhood Education. Growing up as a military child, she lived in many places including Germany, and learned useful languages along the way. Melissa likes to bake lots of treats and pursues amateur photography with anything as her canvas. She loves playing in the great Alaskan outdoors with her husband Kalani and dog Kenai. She has a passion for young children and plans on always remaining a child at heart. Renee Wilson began working at PIC in June 2014 as a Developmental Specialist. Renee earned her undergraduate degree in Early Childhood Education and a graduate degree in Masters in Classroom Teaching with an emphasis on Intervention, Mild to Moderate Disabilities. Renee has worked in the field of early childhood for over a decade and continues to be inspired by the innocence, wonder, and amazement of young minds and the joy they bring to this world. Originally from the great state of Ohio (Go Buckeyes! ), Renee was brought to Alaska with her husband via the Air Force. When not working, Renee enjoys spending time with her son and husband – camping, hiking, playing board games, traveling and hosting parties. Roxeanna Zaborac is the Office Manager, she begin working at PIC in 2009. Stacey Winslow is PIC’s Finance Manager. She has lived in Alaska for 28 years and has five children. She is very involved in her church and enjoys cross-country skiing, knitting, sewing, and watching her children play sports. 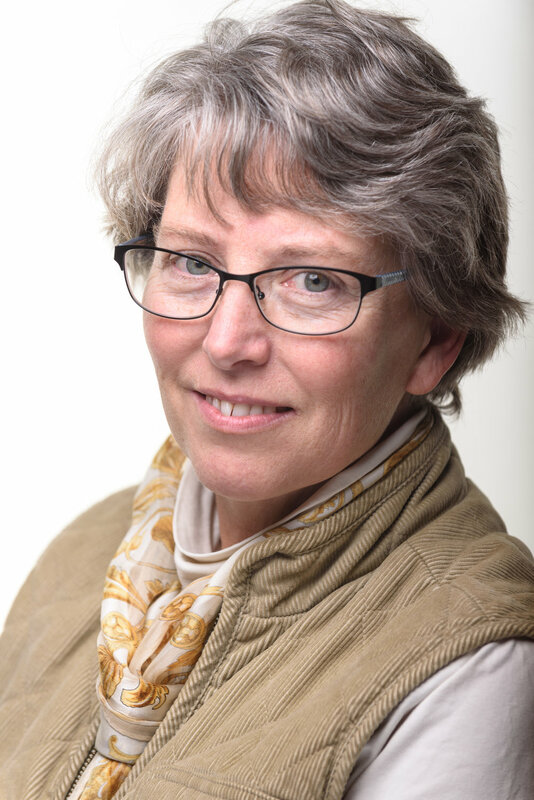 Stephanie Voorhees is an occupational therapist with over 30 years experience working with children between birth and 3 years old, and their families. She joined the staff at PIC in September, 1998 after moving to Alaska from Northern Virginia just outside Washington, D.C. She attended George Mason University in Fairfax, Virginia where she earned a degree in Psychology, and she attended Howard University in Washington, D.C. where she earned her degree in Occupational Therapy. She has completed the Neuro-Developmental Treatment certification course for children and an additional 3 week NDT course for infants. In addition she has completed extensive continuing education training in a wide range of developmental areas including feeding and sensory processing/regulatory skills. Stephanie enjoys spending time with her husband and dog (soon to be dogs) in the great Alaska outdoors, hiking and camping. She also enjoys reading, gardening and Netflix when at home. Teri Wooten earned her degree in Physical Therapy at Florida International University, Miami, in 1987. When she isn’t thinking up fun ways to engage and play with kids at PIC, she is having fun playing outdoors with her other friends. Theresa Clayton started at PIC November 2014 as a Billing Specialist. She was born and raised in Alaska, moving from Fairbanks to Anchorage in 2004. Theresa was in the medical field for ten years, prior to joining PIC. Outside of work, she enjoys spending time with her family, traveling, camping, and writing. Toni Rae Osiecki is a speech therapist and finished her education at the University of Wisconsin-Stevens Point. She moved to Alaska in 2013 and enjoys learning about the community and working with families. Her personal interest in play, music, and positive psychology are regularly brought into her practice. When she isn’t writing, playing, or listening to music, you’ll find her disc golfing, reading, camping, or doing yoga. Victoria Kendall earned a degree in social work and holds a clinical license in the State of Alaska. She assists families in addressing their children’s delays and mental health concerns as an early interventionist. When away from work she enjoys spending time with her family, the outdoors, and running. Yolanda Cruz-Cabanzo is an Early Interventionist. She has been providing early intervention services at PIC for since 2007. Yolanda has five children. She has lived in Alaska on and off for the past 21 years. She has lived in Anchorage since 2003. She enjoys working with children and families. Yolanda assists families with Spanish translation when needed. In her free time she enjoys cooking, reading, and spending time with her family. Yulia Chen began at PIC in 2015 and serves a Development Specialist. She is bilingual (Russian and English) and holds degrees in Psychology, Early Childhood Development, and Special Education; she has more than 20 years of experience working with children and families with special needs. She specializes in providing assistance with learning disabilities, cognitive impairments, and social/emotional development. Yulia enjoys travel, fine arts, literature, playing music, cooking, and spending time on the wonderful outdoors of Alaska with her family.